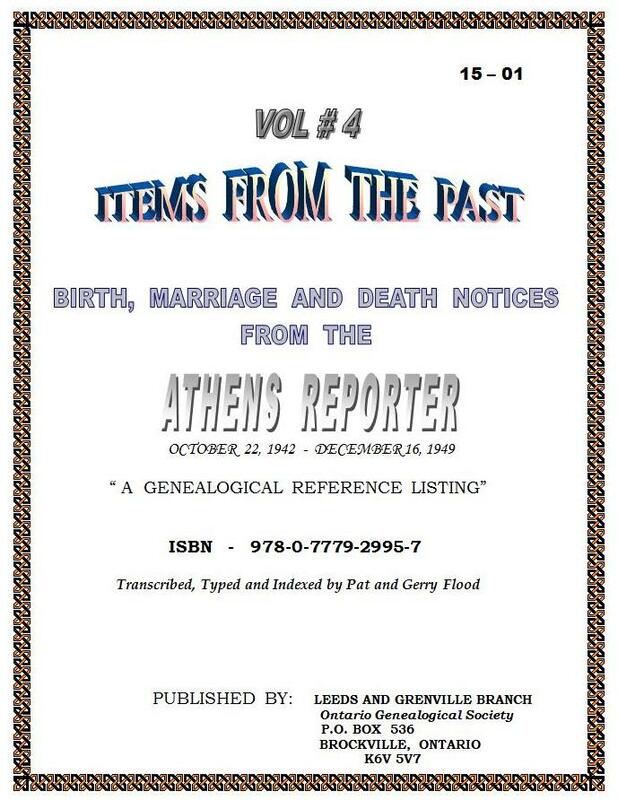 Thanks to Gerry and Pat Flood for preparing Items From the Past, Volume # 4 – Birth Marriage and Death Notices from the “Athens Reporter”, October 22, 1942 – December 16, 1949, which follows the three volumes done by Lorna Johnston which cover the period from 1884 to mid-October 1942. All volumes are available for purchase from the Branch for $30.00 each (+ postage if mailed). Here is the order form. 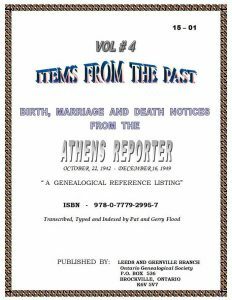 This entry was posted in Publications and tagged Athens Reporter, Births Marriages and Deaths, BMDs, Family History, Genealogy, United Counties of Leeds & Grenville on June 6, 2015 by Charles Godwin - TSIC.